Dear Readership you must wonder where we’ve been all summer. Nurse underwent the first of two knee surgeries in July and we’ve been working through her rehab and adjustment to being home again. 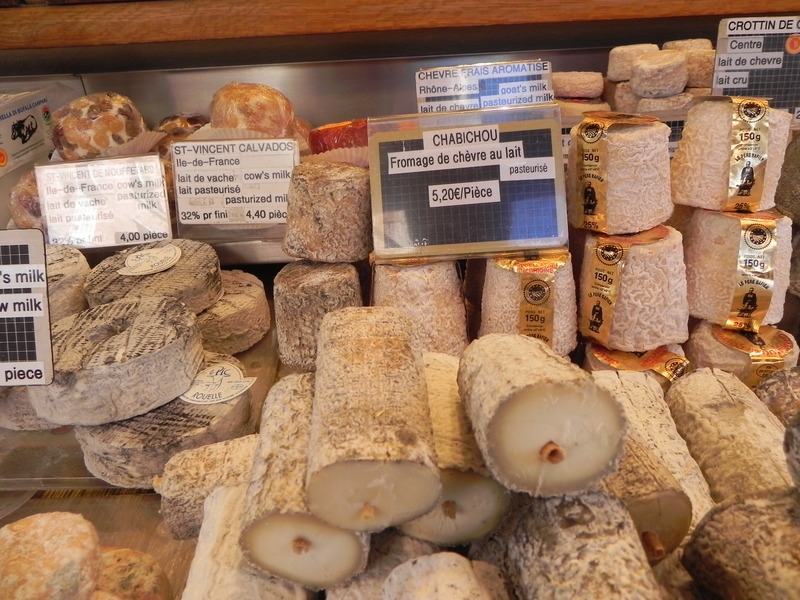 So we delved into the archives to bring you a short report from a visit Melinda and I made to market in the rue Mouffetard. 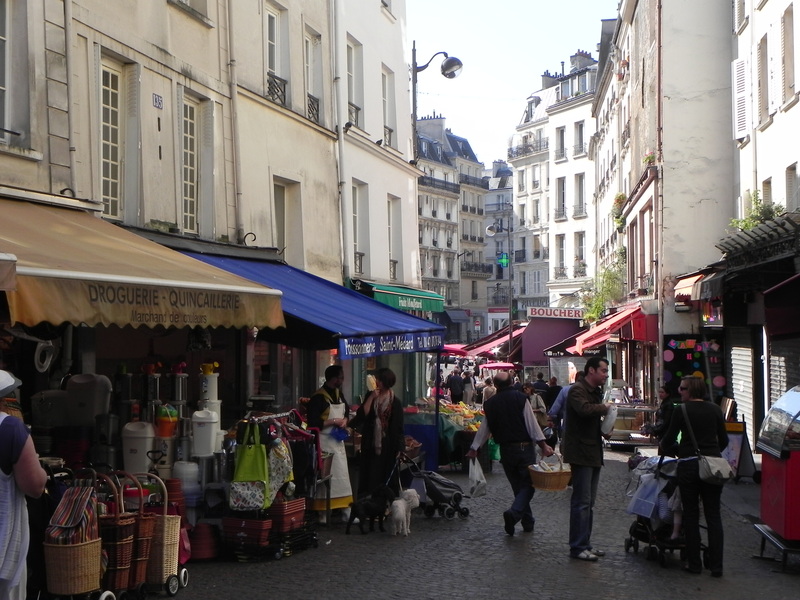 The rue Mouffetard market is one of the oldest in Paris. But like the holy grail, it eluded the ETs because we couldn’t actually find it. Somehow we always wound up near the Mosque and settled instead for a delicious couscous lunch which is very affordable at it’s restaurant. 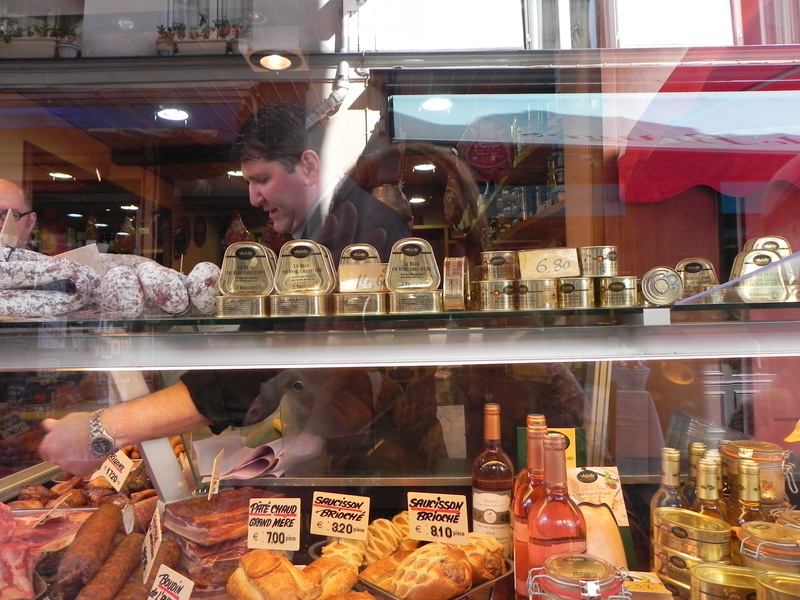 So I was bound and determined that Melinda and I would overcome my faulty map reading and get from the Place Monge metro station to the market. But determination doesn’t guarantee success. Soon we were dazed and confused in a maze of cheap Greek restaurants and second-hand stores. Melinda relieved me of command and in very short order we were poised at the top of the rue Mouffetard with stalls of tasty goods arrayed before us. I was confounded again, but delighted to see what lay before me. Once the Roman road to Italy, the rue Mouffetard is replete with everything you’ll need for a five-course meal and something to wear as you serve it up. 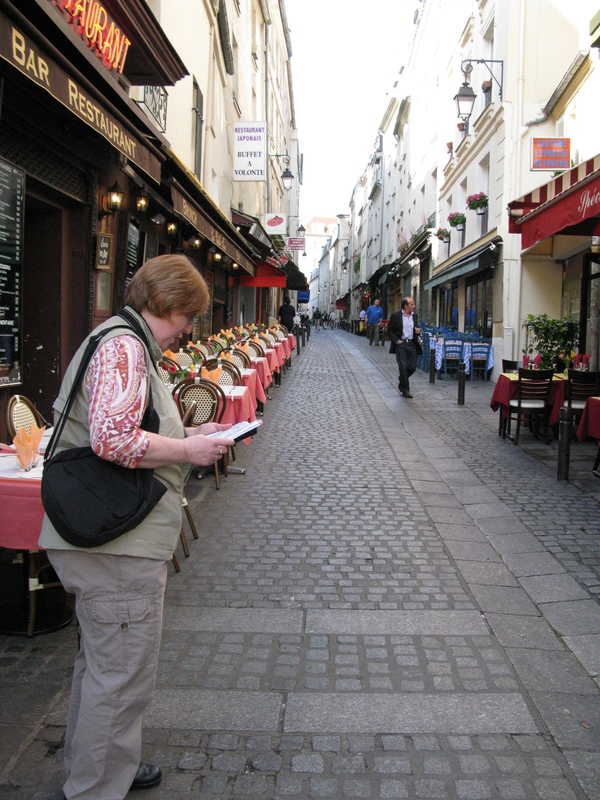 Hemingway lived nearby at 74, rue du Cardinal-Lemoine, and like the fantasy in the movie Midnight in Paris. We hoped he would appear so we could help him with his shopping which we assumed meant getting drunk, debating the meaning of art, and having fistfights. Baguettes, gros pain, pain au levain, pain de ménage. How to choose! 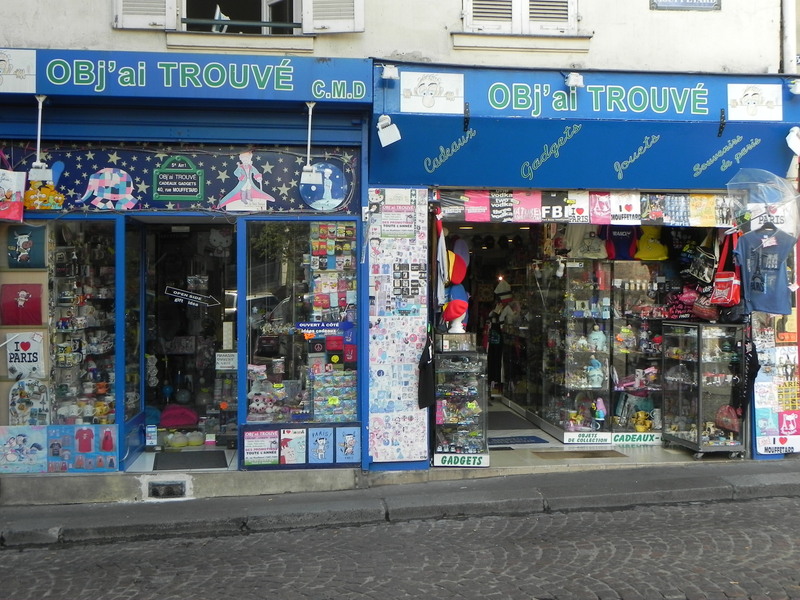 Many French families shop every day – even office employees who go first thing in the morning, and again after work. During the day, you’ll meet an army of dapper ladies, nannies with strollers and retired gentlemen who can browse at their leisure thanks to the generous French pension programme. Knowledge and experience at your service. Anyone who leaves the rue Mouffetard hungry must be an ascetic in an extreme state of self-denial. 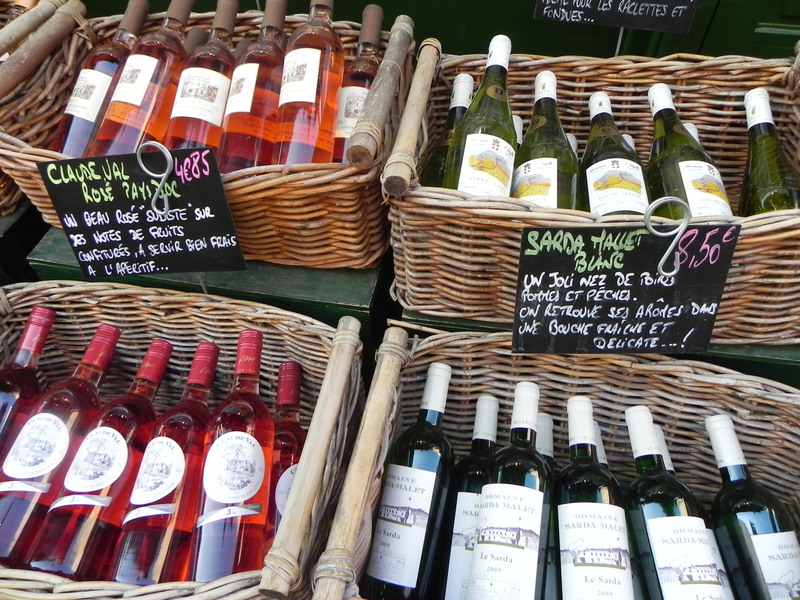 I was lost again – lost in my hungry thoughts of those scallops, that loaf of bread, and this bottle of wine. I think that the Romans chose the rue Mouffetard for their road because they could pick up tasty victuals for the trip on their way out of town. While all roads may lead to Rome, this road will also satisfy any appetite, ancient or modern. 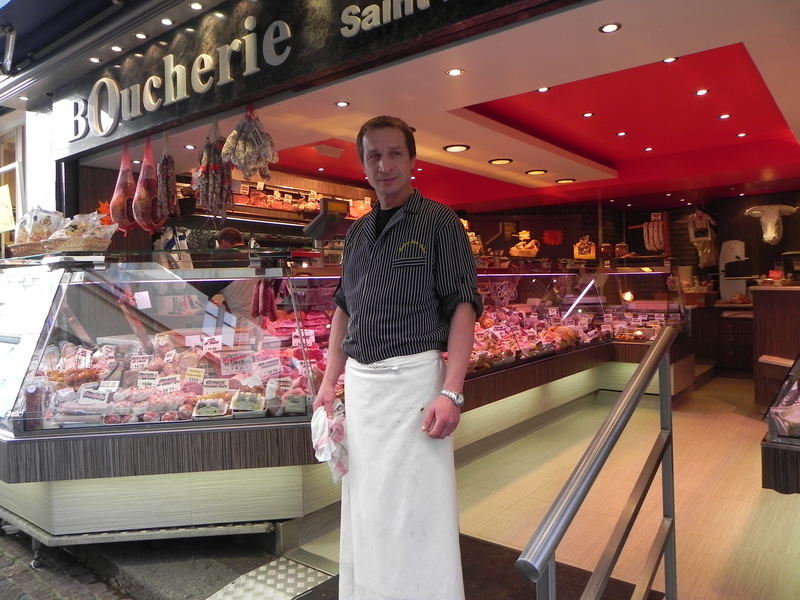 Generations of dedicated shop owners and purveyors of fine foods have kept the rue Mouffetard vital. Salut! 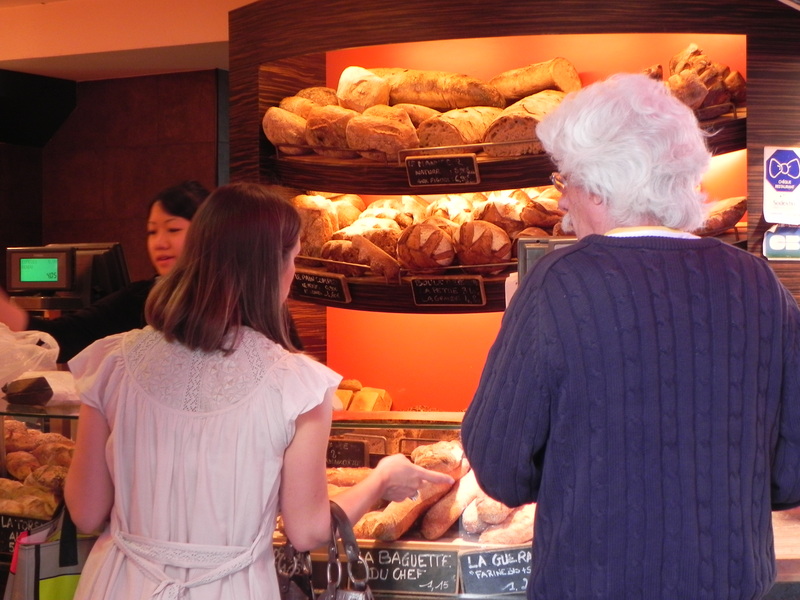 This entry was posted on September 3, 2012 at 1:06 pm and is filed under French food, Paris Life, Paris Neighborhoods, Paris Shopping. You can follow any responses to this entry through the RSS 2.0 feed. You can leave a response, or trackback from your own site.